1. Wash your hands. Have the client wash her hands. In lieu of a soak, use a warm cloth to hydrate the client’s hands. 2. Prep the client’s fingernails. 3. Combine the almonds, pink Himalayan salt, oil, and natural soap flakes to create a scrub. 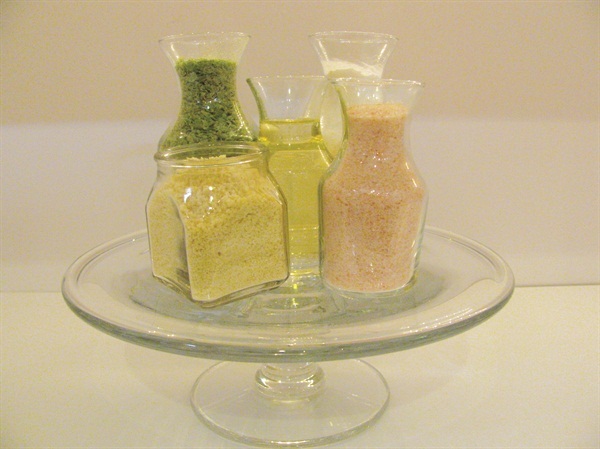 Massage the client’s hands and lower arms with this mixture. 4. 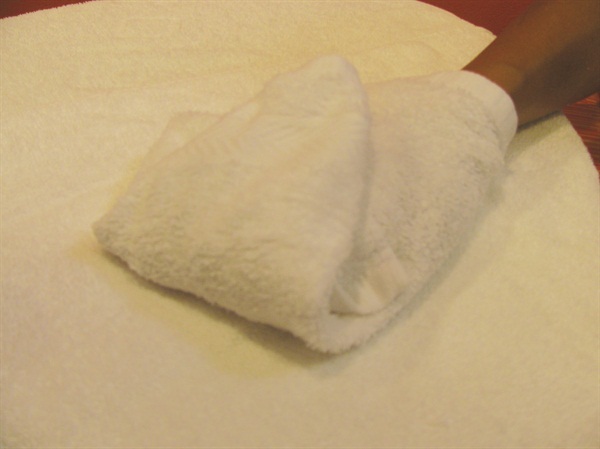 Wrap the client’s hands in warm towels to let the scrub’s moisturizing properties absorb. 5. Apply base coat, two coats of polish, and top coat. Lollipop Nail Studio, Costa Mesa, Calif.